Anyway, I’ve decided to share a great photo with you of me doing my new hobby. It started in St. Lucia when my parents brought me whale watching (I saw whales and flying fish and dolphins, the dolphins seemed interested in joining my army, they swam around the boat for ages). I hadn’t been on many boats before, most were just boring ferries. This boat was so cool! They brought it right into the beach and we had to walk into the water and climb up stairs onto it. Well, mummy did the walking bit, I don’t like getting wet. I was a natural. The boat people thought I was amazing so the captain quit and made me captain straight away. I need mum to make me a captain hat now… And maybe a blue and white striped suit. I climbed all over the boat and untied all the messy knots that they had tied in the ropes. 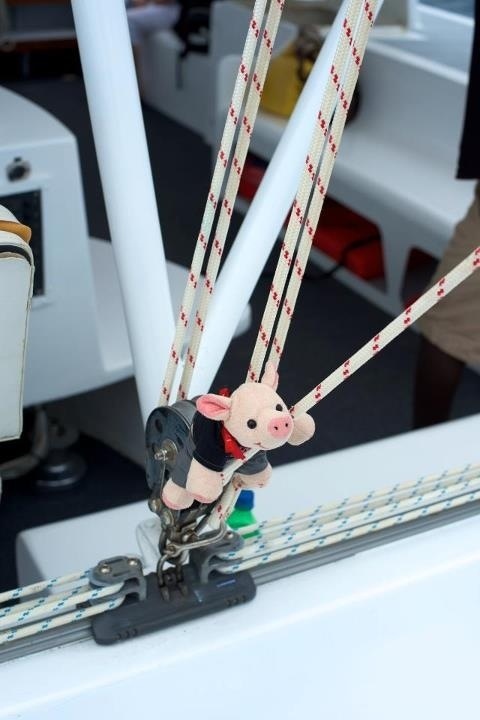 This entry was posted in Uncategorized and tagged Sailing, st lucia. Bookmark the permalink.